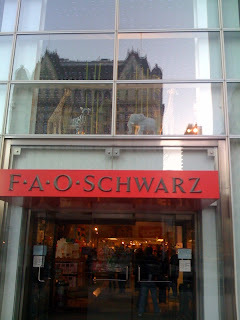 We finally made it to the FAO Schwarz headquartered in NYC at Fifth Ave at 58th Street (during the Christmas holidays, there were long line that wrapped around the building). 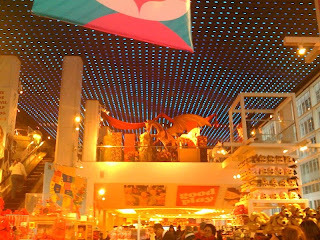 What makes this store the most impressive toy store in addition to having just about every kind of toy imaginable on this planet, is that kids (with wealthy parents) can custom make everything from hot rodz to barbies to doll houses to their own farms. 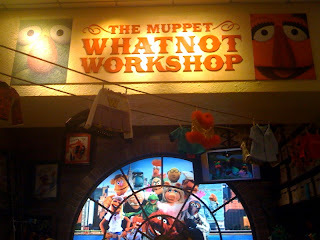 They can even have a designer make a couture tutu or they can create their very own Muppet at their Muppet Whatnot Workshop. 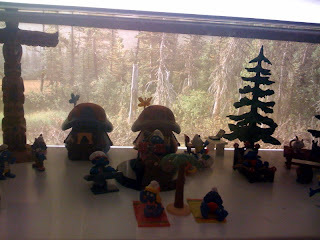 When I was a little girl, to have been able to custom make a blue tutu and create my very own muppet would have been a dream. 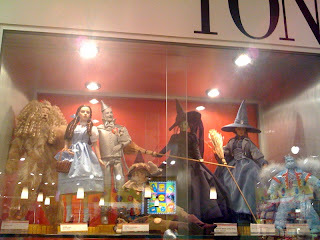 They even had toys going back to the old skool days (for oldies like us). La la la la la la la la la la la. 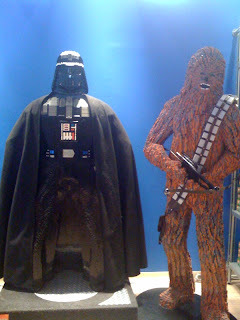 The Hollywood classics were there too. 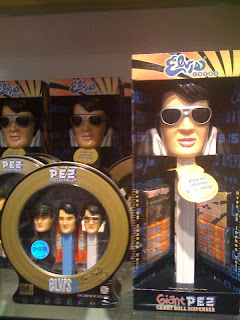 They even had an impressive Pez collection. 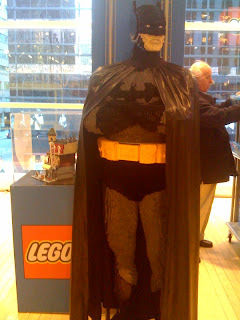 But one of the most impressive things we saw at FAO were their life-size LEGOs. 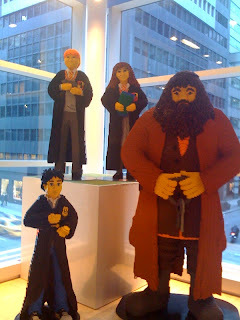 But we were most excited about this. 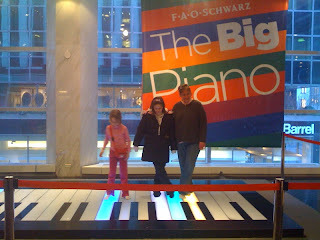 The "Big" Piano from the 1988 film Big. 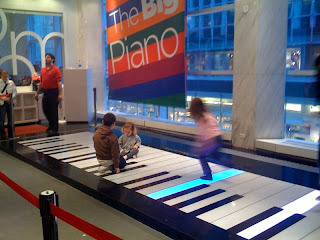 We loved the scene where Hanks and Loggia danced to "Heart and Soul" and "Chopsticks" on the large floor piano. They were letting customers play on the piano (although only a few minutes at a time) and they even have piano dancing demonstrations. For a mere $250,000, this could be yours. 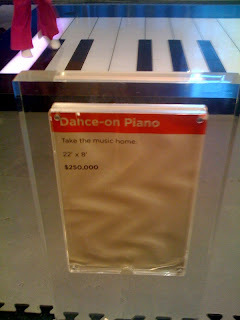 If this was in our home, we'd also be doing Michael's Billy Jean walk on this. Now, if only they could recreate something like this great FAO experience for all kids, not just those born into fortunate families. Reflection of the Plaza Hotel from FAO's entrance window. 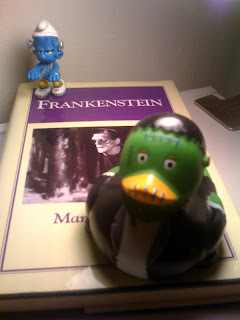 Although there were many toys we wanted to buy, we were so happy to bring home one of the coolest toys - our Frankensmurf now at our home and in good company.